For decades, companies and campaigns have spent billions of dollars on television and online advertising based on approximation and intuition, with little data to drive decisions or measure effectiveness. Standard viewership and ratings data is limited to broad age/gender - instead of the way it’s currently written. Smaller segments and local markets often suffer due to insufficient sample sizes. It’s time to change all that. We introduce data and analytics to make planning less of an art and more of a science. We use first and third party data to identify targets for your product, service or cause. Utilizing data from millions of TV set-top boxes and online ad networks to anonymously match your most promising targets with their actual viewing habits to find the best way to reach them. We are constantly analyzing our data and enhancing our models, matching and targeting to ensure you always have the best plan. We serve the truth, not ourselves. We believe data must be handled with care and delivered with transparency whilst encouraging an open dialogue in which everyone is respected. We collaborate with our clients to drive success using data, while fostering the growth of the company and its people. Lastly, we stay on the edge of what’s new, never settling because there is no finish line. 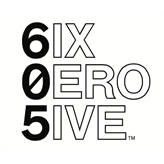 Want to get notified about new jobs at 605?